Cubism at the Centre Pompidou: where did André Lhote go? Liberation.fr published the 9th of january 2019, an article entitled "Cubisme à Pompidou: où est donc passé André Lhote?" by Françoise Garcia, honorary heritage curator at the Bordeaux's Museum. The author questioned the absence of André Lhote's works in the "Cubisme" exhibition. She underlined the painter had devoted all of his time to the defence and illustration of this artistic movement. The Paul Dini Museum (Villefranche-sur-Saône, about 30 km at the north of Lyon, France) chose to explore the career of an artist prematurely dead from injuries suffered during the First World War: Roger de La Fresnaye in the exhibition “Roger de La Fresnaye, the Cubism temptation” from October 14th to Februar 10th 2019. With artists such as Albert Gleizes, André Lhote, Jean Metzinger, Jacques Villon, whose paintings are also exhibited, Roger de La Fresnaye contributed to reveal the cubism to the public of the 1910s. 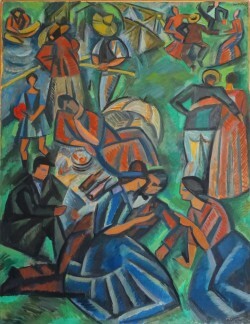 Six André Lhote’s paintings from 1911 to 1918 are exhibited. A complete catalog is available. For many early to mid-twentieth century artists from around the world André Lhote's (1885-1962)theoritical and practical lessons were a basis for the development of individual and regional modernisms. 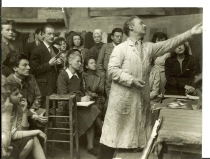 The conference seeks to analyse to what extent André Lhote, as a key figure in global modernism and until now unjustly neglected, was able to give rise to forms of artistic production. Dominique Bermann Martin:"The life of André Lhote"
Fanny Drugeon, Art historian, Paris:"From Paris to Mirmande, international aspects of Lhote's academy through Lhote's writings and correspondance." Karin Siden, General director/Anna Meister, head of archive,Prins Eugen, Waldemarsudde museum, Stockholm, visio-presentation:"Form and colour-André Lhote and Swedish cubism. About the current exhibition at the Waldemarsudde Museum." Michelle Greet, director, art history program, George Mason university, Fairfax, Va.U.S.A. "latin american artists at the Academy Lhote". Alejandra Ortiz Castanares, Florence, Universita degli studi di Firenze: "Manuel Rodriguez Lozano, the mexican "purist"." Vesna Burojevic/Zana Gvozdenovic, art historian, curator and director "Sava Sumanovic" Gallery/Belgrade: "Sava Sumanovic and other serbian painters in André Lhote's atelier in Paris." Jamaleddin Toomajnia, Phd candidate ITÜ, Istanbul:"Jalil Ziapour an Iranian Student in the Académie Lhote." Simone Wille, Vienna, University of Innsbruck:"Towards Artistic forms in India and Pakistan. Shakir Ali and Jehangir Sabavala". Zeynep Kuban, ITÜ-Art history Graduate Program:"An overview of the Turlish students attending to the Academie Lhote." Tracey Lock Weir, Curator of Australian paintings and sculpture, Art Gallery of South Australia,Adelaïde: video presentation, "Adelaïde-based artist Dorrit Black"
David Burzillo, History teacher and school archivist, Weston, Ma. U.S.A. video-presentation:" In service of humanity and Art: the lives of Caroline Rogers Hill". 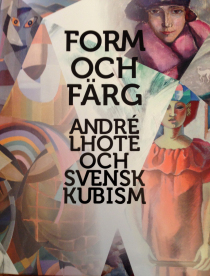 Many Swedish artists studied under André Lhote. This exhibition is the first to focus on the extensive but unknown teacher-student relationships that began in the early 1910s between Lhote and his first Swedish students, Georg Pauli and Prince Eugen. In the ensuing five decades, Pauli and Eugen were followed by several generations of Swedish painters; some50 of these are featured in this presentation, including Siri Derkert, Olle Beartling, Philip von Schrantz and Elsa Danson Waghals. Works by Georges Braque, Robert Delaunay and other artists are also shown in the exhibition.